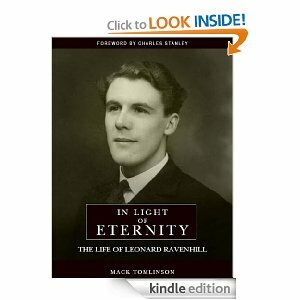 “Those who know of Leonard Ravenhill recognize in him the religious specialist, the man sent from God not to carry on the conventional work of the church, but to battle the priests of Baal on their own mountain-top, to shame the careless priest at the altar, to face the false prophet and to warn the people who are being led astray. C.J. 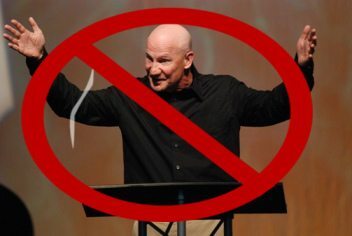 Mahaney @CJMahaney [March Madness Podcast] Don’t Waste Your Tournament! March Madness is a gift from God! MahaneySports ‏@MahaneySports8 Aug Do we really need to be exposed to the athlete’s every thought via Twitter? Social media and today’s athlete. MahaneySports ‏@MahaneySports7 Aug Has free agency made the NFL better or worse? Ted Kluck brings his perspective spanning the decades. C.J. Mahaney a wise choice to protect the unborn? I Praise God for Leonard Ravenhill. Even as this man glories with the Lord I’m learning from him. I agree Kevin. The man is still impacting people for Christ. ( “God testifying about his gifts, and through faith, though he is dead, he still speaks.” Hebrews 11:4) I used to go to church at Bethany Fellowship and, although it was after the period the Ravenhills lived there, he would still speak at conferences from time to time. I heard him speak several times there and always was moved by his powerful sermons. This biography is great and has been most helpful to me as it has caused me to again listen to some of his preaching and dedicate myself to the discipline of prayer. Reblogged this on The Diary of a Slave. Hey Buddy!, I found this information for you: "A Study in Contrasts". Here is the website link: https://thouarttheman.org/2013/08/09/a-study-in-contrasts/. Thank you.